Booking, contact & opening hours. Good for: Stress, anxiety, pain relief, headaches, migraines, pms, menstrual problems, menopause, fibromyalgia. Based on an ancient therapy it was re discovered in the early 1900’s as ‘Zone Therapy’ by Dr William Fitzgerald, and later Eunice Ingham in the 1930’s, the basic premise is that there are zones on parts of the body that correspond to other parts of the body. By stimulating specific points, known as reflex points, carefully using firm finger and thumb pressure (acupressure), this restores balance in the body. By looking at the the whole (mini) map of the body on both feet, the treatment whilst addressing specific issues such as back pain, is also working on the person as a whole, working through energy blockages. The whole level of tension and stress in the body drops, emotions become more balanced, the head clears, and so the person treated sees an enormous improvement in health as the whole system restores itself. The reflexologist applies Shi-Atsu pressure (shi = finger, atsu = pressure) to the reflex points (effectively nerve endings) to break down blockages and congestion and increase circulation. From this external stimulus, the impulse causes a response from the organ to normalise its function. In brief it activates our bodies’ nuclear cells, organs and body systems, fully develops the bodies self-healing powers and maintains optimum health. In brief, this helps encourages the body’s neutral structure to achieve balance (known as homeostasis) in all its systems. 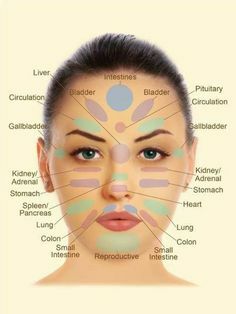 Facial reflexology is a unique deeply relaxing treatment that not only aims to improve your health and well being on the inside, it also helps you look better, younger and have a healthy glow on the outside. Louise was trained by Ziggie Bergman at the London School Of Reflexology. The Bergman Method Facial Reflexology is built on the 10 point zone system which is the foundation of modern Reflexology. Facial reflexology works on the same principles as foot reflexology, but with the treatment working the reflexes on your face instead. It is a non-invasive treatment based on the theory that reflexes on your face correspond with different areas of your body, so that stimulating the reflexes can reduce tension in areas of the body that are out of balance, improve underlying energy imbalances and promote overall wellbeing. The proximity of the face to the brain is key to the effectiveness of this therapy. Manipulating facial reflex points helps connect to the body's neuro-pathways to rebalance and revitalise the body and mind. Lying on our heated massage table your hair will be secured back from your face with a hair band and your face will be wiped free of make up (mascara can be left on). A few drops of Neal's yard organic facial oil will be smoothed over your face . The treatment will start with some relaxing massage followed by a sequence of balancing the whole body through a series of reflex points on the face. Deep tissue massage is combined with reflex manipulation to relieve tension, improve well being and promote deep relaxation. Good for: Eczema, asthma, secondary lymphoedema, arthritis, ME, fibromyalgia, sinus problems, migraines/headaches, muscular tension, aches & pains, PMS. Reflexology lymph drainage RLD is an award winning reflexology technique which focuses on stimulating the lymphatic reflexes on the feet. The aim is to cause an effect on the lymphatic system in the body. It is a unique sequence that has been researched and developed by Sally Kay BSc(Hons), whilst working in Cancer Care. The results appear to support the theory of reflexology. Lymphedema is defined as tissue swelling due to the failure of lymph drainage. After breast cancer, a person may experience psychological or emotional difficulties due to altered body image, and a swollen limb can exacerbate this. Research suggests that survivors with lymphoedema are more likely to suffer psychological and emotional difficulties, be more disabled, and experience a poorer quality of life than survivors without the condition. Improved breast cancer survival rates suggest that approximately 2:3 women survive the disease beyond 20 years. This means that more people are living longer with this debilitating side effect for which there is currently no cure. 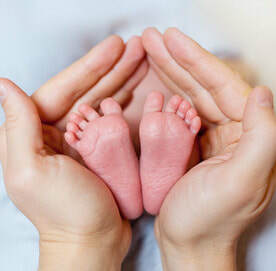 Reflexology can help support couples when trying to conceive, the session involves a regular reflexology session as well as extra techniques to stimulate the reproductive and endocrine systems, helping to aid relaxation, balance the body's systems, reduce anxiety and improve a sense of well being. Prior to the session a comprehensive consultation is taken which will include diet, lifestyle and any information regarding your fertility issues. A treatment plan will then be discussed. It may be beneficial to treat both both partners especially in undiagnosed cases. It is important to stress that having reflexology cannot guarantee a pregnancy but it may help however by reducing stress levels, balancing the body's systems and creating a healthy environment for your baby to grow. Please note that I do not offer a medical treatment, or indeed a substitute for the medical treatment of infertility. I do not diagnose or treat specific conditions.